Properties in Les Chapelles-Bourbon average 4.5 out of 5 stars. Your apartment has 2 steps from Disneyland Paris! Property 9: Your apartment has 2 steps from Disneyland Paris! A holiday park with a swimming pool, just 15 km from Disneyland Paris. Property 14: A holiday park with a swimming pool, just 15 km from Disneyland Paris. Disneyland Family stay for 4 people 80 euros per night. Property 17: Disneyland Family stay for 4 people 80 euros per night. Ideal stay for a 5 Disneyland Paris! Property 22: Ideal stay for a 5 Disneyland Paris! 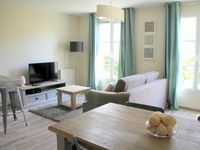 Marne la Vallée, apartment 4 people, in the center of Val d'Europe. Property 30: Marne la Vallée, apartment 4 people, in the center of Val d'Europe. THE GUET TOWER 1 independent apartment. Property 42: THE GUET TOWER 1 independent apartment. 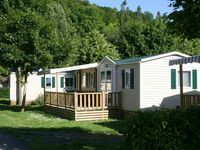 Property 49: A holiday park with a swimming pool, just 15 km from Disneyland Paris. The staff where V. nice, place look descent not bad, accommodation is terrible, No TV, No AC, No vents. The only good thing about it is V. close to Disneyland and they have a bus on location that can take you there. Apartment was in a great location and was very clean. Owners provided all the information you needed to know and were helpful coordinating the stay. I have 3 kids (3,5,11) and it was a big enough place for all of us. Location is walking distance to disney if you do not want to catch the bus. There is also plenty of shopping across the street and there is also a supermarket where you can buy some groceries if you want to avoid eating out all of the time. I would come back if i had to come back to disney.